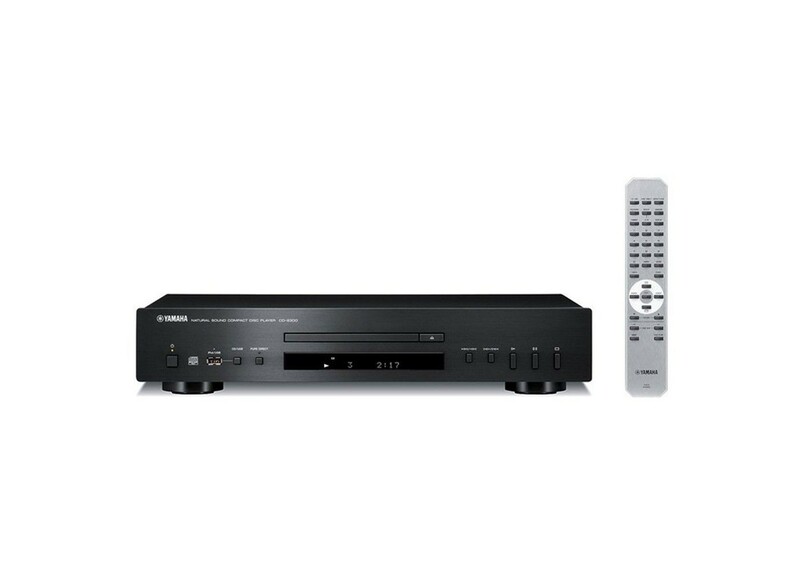 The CD-S300 compact disc player from Yamaha offers high sound quality and easy operation. Along with special Yamaha features such as Pure Direct, Intelligent Digital Servo and iPod and USB compatibility, the CD-S300 is also MP3/WMA compatible. Inheriting many of the sound quality features of the S2000/S1000 Series components, the CD-S300 CD player delivers sound that will satisfy devoted music fans. In addition to CDs, it also provides high quality play of music files stored on digital audio players like iPod or USB memory devices via a USB port on the front panel. Using a USB cable, you can plug your iPod into the USB port to enjoy your music library via your audio system. The digital signal is sent to the CD player with no degradation. It is then converted to analog by the high performance DAC and transmitted to the amplifier by the high quality audio circuitry, allowing you to hear your music at the highest possible quality level. As iPod or USB audio data input from the USB port can also be output by digital-out terminals (optical or coaxial), digital signals can be transmitted “as is” to amps or audio systems with digital inputs. * You can use the remote control to command the play, pause, skip and forward/ backward functions, and the song, artist and album names will displayed. Compatible iPods are the iPod classic (including 120GB classic), iPod nano (2nd Gen., 3rd Gen., 4th Gen.) and iPod touch (1st Gen. and 2nd Gen.). When the power is on and USB mode is selected, the iPod charges automatically. *When connected to the digital input of a recording device, copying is prohibited due to copy protection and recording cannot be done.